This house does not have a dryer. You must be 25 years old to rent this house! Come find yourself relaxing on the wide porch and enjoying the gulf views and ocean sounds of this sweet canary-yellow home. Perfect for a family vacation or gathering of good friends, this 3 bedroom house with 2 full bathrooms has everything you'll need to feel at home. One full bed is in the western-facing bedroom, perfect for catching the sunset. In the bedroom with full views of the gorgeous bay, there is comfortable queen foam bed. The third bedroom is perfect for grandmothers, kids, nannies, or anyone looking for a quiet place to read, relax and enjoy the gulf view from the twin bed. For larger parties, the spacious living room has two sleeper sofas. There's carpet and ceiling fans in all the bedrooms. 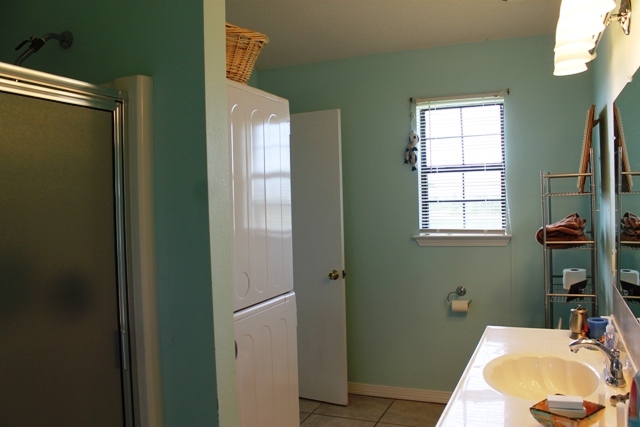 There are also fans in the living room and kitchen along with new tile in the kitchen, living, and bathrooms. In case of sandy feet, there's a rinse station on the north side of the carport. While a perfect spot to get away from it all, there is wireless internet, free long distance, satellite service and DVR on all three televisions just in case you need to be plugged-in. 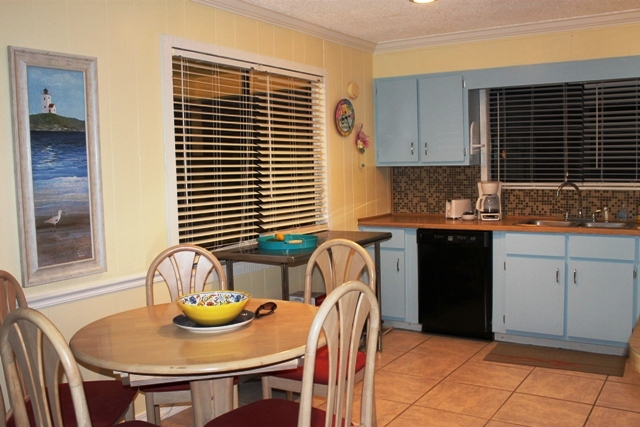 Should you plan on any family-style dinners, the cheerful blue kitchen is fully equipped for all your cooking needs. Spend your sunshine-filled days on the white sandy beach, or take a tour of historic Fort Morgan, which is just a short drive away. The amber and amethyst skies of a Fort Morgan sunset are not to be missed, but when the sun goes down, lean back in the Adirondacks and look up. The area's lack of high-rises and city lights makes for a beautiful star-studded night sky. 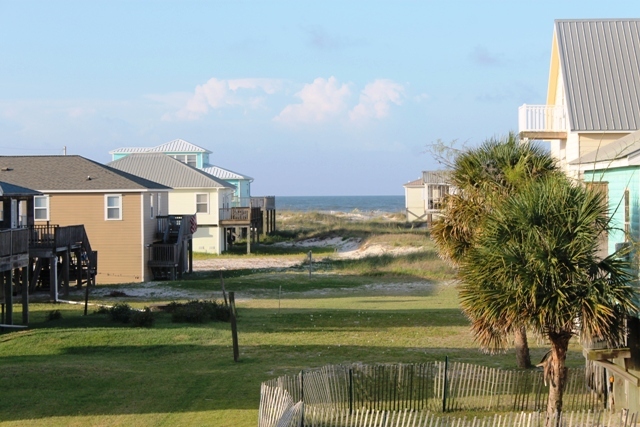 The L.A. Getaway will not disappoint and is the perfect spot for you next vacation to the beautiful Alabama shores. Sleeps up to 9 people, has an extra thick double mattress on the double bed facing the sunset to the west, comfortable foam queen bay view master bedroom and a twin bed in the bedroom with a beach view. There are also two sleeper sofas in the living room for your overflow family. Two full baths one with a tub and shower combination. Fully equipped kitchen - microwave, blender, toaster, coffee maker, brand new stainless steel cookware including 8-quart stock pot, dishwasher. Fort Morgan is a great fishing spot. This home is only a short walk to beach - no roads to cross!! "Great location and wonderful views..very comfortable place to stay"
"Awesome! Thank you, Gregg, for leaving a review of your stay in LA Getaway. I hope your stay was relaxing! We look forward to having you back down here!" "Family, pets, children, away from it all "
"Yes, indeed, Fort Morgan is away from it all! That is what we love about the area! And the fact that our beaches are pet friendly! Our uncrowded beaches are perfect if you are looking for a quiet place to bring your family. We hope you will come back and stay with us again!" "We had a great vacation! 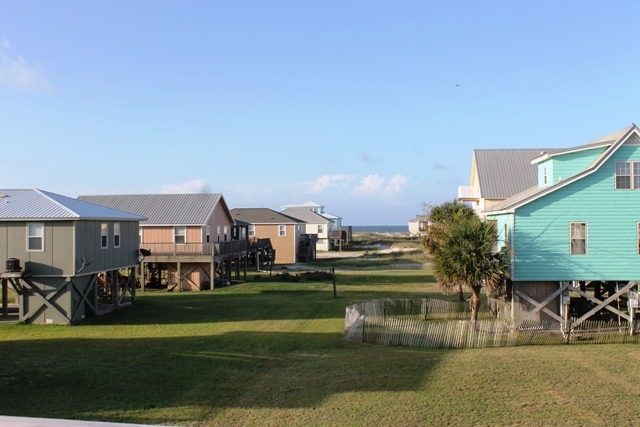 The house is very close to the beach, there are views of the ocean from the deck. There was plenty of room for our whole family. The house was clean and well stocked. Loved the colors and the decor of the house." "Yay, Kelly we are so very glad you enjoyed your stay with us!! It is a great property and the beaches ARE awesome out here!!" "The house itself was incredible. It's decorated exactly how you want a beach house to look. The space was perfect for 7 of us and it's a short walk to the beach. The only downside was that it didn't have any dish soap, sponges, or extra toilet paper so we had to buy our own. The kitchen was only stocked with salt and pepper so make sure you bring everything you need! Otherwise it was the perfect place to stay and I'd definitely recommend it." "Tana, thank you for taking time to write a review! We just set up the house with a starter set of toilet paper and the small bars of soap. Salt and pepper is usually all the owners leave since most people would not want to use any open items left behind. It is a fun property though in a great location." "We had a wonderful time!! The rental house was very cozy. First time vacation in Gulf Shores Al and it will not be last!! Beach being so close was wonderful, I loved the sand ( so white and clean )!! Fort Morgan is a beautiful place, so peaceful!! ( did alot of front porch seating!!! Alex and the ladies at Sunset Properties were great , so polite, and helpful!! Other the tropical storm Cindy, our vacation was Totally Wonderful and we will for sure been back!!" "Whoop!! So glad to hear this! We will be glad to have you back anytime you can get away!" "Very clean with lots of natural light, with a deck that was perfect for lounging in the evenings and planning activities for the following day. The beds were very comfortable, and the shower was fantastic. Tacky Jack's is a must for having dinner and taking in a sunset with a pina colada (or three)!" "Yipee!! Sounds like you had a great time, so glad, and we hope you'll be back soon!" "We had an incredible experience at LA Getaway! The home was very clean and perfect for two young families to share. The beach is just around 100 yards away and extremely secluded - only a few other families down there with us. This was the best first beach getaway for our little ones! We are already planning for next year!!!" "Yipee! This is what we love to hear and what it's all about. Making memories and relaxing!" "We had a delightful time at the LA Getaway!" "Thanks, Jennifer! So glad you had a great time!" "Very cute house about a 5 minute walk to the gulf. Very clean and well maintained." "Thank you for your review! We hope you'll come out and see us again!" "This was our 1st venture to this part of the Gulf. A little more remote than we are use to but we settled in. Difficult to find." "Oh, we are sorry it was difficult to find. We send maps via our app and confirmation letter. But, now that you have found it, we hope you will return!" "Sweet! Thanks for letting us know!" 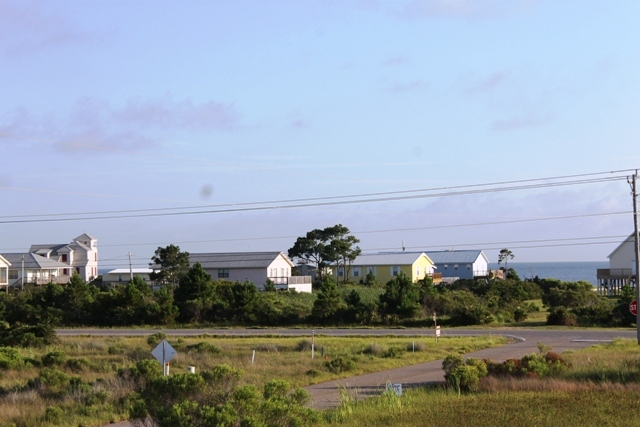 "Easy walk to the beach and super clean house. I have a wagon so it was much easier :). Would defiantly rent it again. House seemed much better than shown in pics."